US bombs kill Yemeni civilians because Saudis don't know 'how to use them'? Is Pakistan shifting from its neutral stance in the Yemen conflict? The civil war in Yemen worsens by the day, as the rockets target Riyadh, former president Saleh dies and the current one can't go back to a country under heavy bombardment. Plus, civil causalities, famine and cholera have reached dangerous levels. The war in Yemen, which began in 2014, between forces loyal to the internationally-accepted government of President Abd Rabbu Mansour Hadi backed by Saudi Arabia and Iranian-backed Houthis has turned more violent after a Saudi-led international coalition started operations against Houthis in March 2015. Intervention by Emarati troops also contributed to the war getting bigger. And the war left the poorest country in the Arab world in a state of disaster. More than 8,000 people have died and tens of thousands have been injured since 2015, when the Saudi-led coalition started its air strikes. 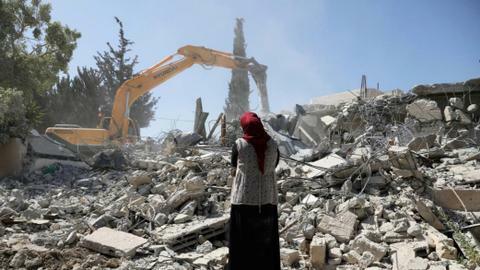 Nearly 70 percent of people are now in desperate need of aid, including humanitarian aid, food, medicine and petrol. Even though Yemen does not have rich oil resources, its geopolitical location makes the country crucial for trade lines and for the oil industry. The Bab-el-Mandeb strait, which connects the Red Sea to the Gulf of Aden is the fourth biggest strait in the world in terms of economic volume. The civil war in Yemen adversely affects global energy markets, as well. How did Yemen come to this point? Yemen, which used to be split into North and South Yemen, united as the Cold War was coming to an end in 1990. This ushered in a new era for Yemenis. Ali Abdullah Saleh, who had already ruled North Yemen—which was mostly populated by the Houtis—for 12 years between 1978 and 1990, became the new president of the united country. Protests inspired by the Arab uprisings in 2010, ongoing secessionist efforts in the south, political instability, corruption, unemployment and food insecurity forced Saleh to hand over power to Abd Rabbu Mansour Hadi, who had been the vice president since 1994. Hadi presided over the UN and the Saudi-led National Dialogue Conference (NDC), which aimed to bring together various parties in Yemen to manage a transition process. Houthis, who are concentrated in the north, and political figures from the south, held on to their interests with little steps towards co-operation. The NDC was supposed to conclude in February 2014 with a declaration. However, Houthis unilaterally declared their withdrawal from the NDC before the appointed time. 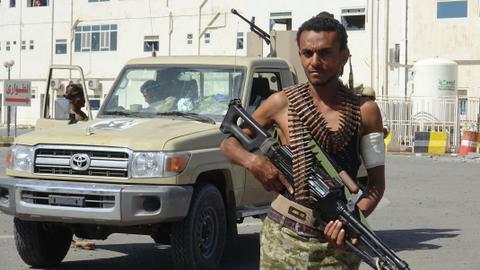 Houthi rebels started a war in the northern city of Saada against government forces. Rebels entered the Yemeni capital Sanaa in September, 2014. Four months later, they captured all of Sanaa with the help of former elite forces loyal to former president Saleh, according to UN reports. The rebels declared dissolution of the parliament after Hadi was put under house arrest. Iran’s influence steadily increased in the Middle East after the 2003 US-led invasion of Iraq—especially in Lebanon, Iraq, Syria and Yemen. Iran has supported Houthi rebels in an attempt to extend its sphere of influence. 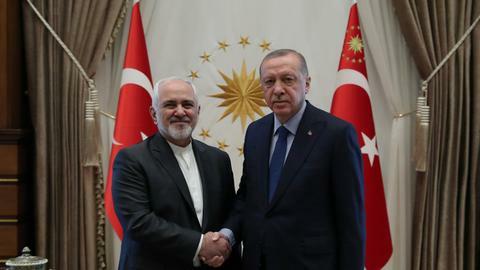 Ali Reza Zakani, Tehran's representative in the Iranian parliament, said in September 2014, “Three Arab capitals have today ended up in the hands of Iran and belong to the Islamic Iranian revolution.” Sanaa is the fourth capital joining the Iranian revolution, he added. Soon after he was placed under house arrest, Hadi managed to escape from the rebels with his loyal officials to Aden, a port city in southern Yemen. He then fled to Saudi Arabia, which backed Hadi’s government. 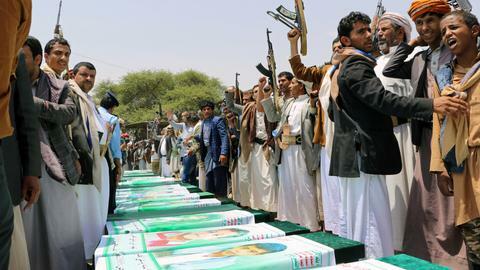 Saudi Arabia formed a coalition to fight against the Houthi-led rebellion in March 2015, which served as another proxy-war with long-time regional rival Iran, which Tehran being aligned with the Houthis. The operation, dubbed Operation Decisive Storm, has been carrying out air strikes in Yemen ever since. The UAE, Qatar, Bahrain, Jordan, Sudan, Kuwait, Egypt and Morocco are part of the coalition, while Turkey and the US support the coalition with logistics. Saudi Arabia has imposed blockades on air and sea ports following the operation to prevent Houthi rebels from getting arms supplies. However, this blockade has caused a huge humanitarian crisis in the country, leading to cholera and food insecurity for civilians in Yemen. Who are the main actors of Yemen war? Houthis are a political and religious group which led uprisings throughout the past 30 years, concentrated in northern Yemen. They are predominantly from the Zaidi branch of Shia Islam. Although they rioted several times during Saleh’s rule, they were repressed by the military. Ali Abdullah Saleh is a Zaidi who ruled Northern Yemen from 1978 until the unification. With the joining of north and south Yemen in 1990, he continued as president of Yemen till 2011. His repressive and corrupted rule caused protests which forced him to hand over his power to Hadi. According to UN reports, he had loyal officials among the state elites who played an active role in supporting the Houthis in capturing the capital city Sanaa in 2015. But after three years, a conflict of interest arose as Houthis didn't want him, and forces loyal to him, to hold on to power in Sanaa. The Houthis placed him under house arrest and after a couple of months, he reportedly asked for the support of the Saudis, reminding the kingdom that he retained the loyalty of a powerful group of soldiers. In late 2017, he tried to publicly split with the group, with whom he had vacillated over the years, and was killed by Houthis on December 4. Abd Rabbuh Mansour Hadi was elected as president in 2012 and is accepted as the legitimate president of Yemen by the international community. He and his loyal officials were captured by Houthis at the presidential palace in Sanaa. Hadi was put under house arrest for a period of time before he escaped to Aden. Hadi was forced to go to Saudi Arabia due to security concerns. There are reports of Hadi requesting Saudi Arabia to return back to Aden, but the UAE controls southern Yemen. Riyadh—which denies the reports on Hadi being under house arrest—didn't accept his request under the guise of security concerns. AQAP is a powerful force in Yemen’s civil war. AQAP has control of the eastern part of the country and generally has confrontations with the Houthis, focusing their attacks on Sanaa. The impact of AQAP became clear after they conducted the Charile Hebdo attacks in France in 2015. The group has added to increased instability in country. 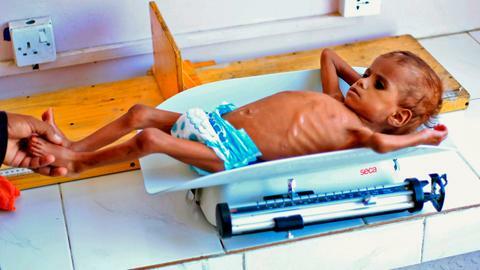 Yemen has been struggling with disease and lack of food caused by civil war in the last three years. Blockades by the Saudi-led coalition has prevented aid from reaching Yemenis in need. A massive famine which has affected millions of people is inevitable for as long as the blockade continues. Mark Lowcock, head of the UN Office for the Coordination of Humanitarian Affairs, said in a briefing on Yemen to UN member states on November 6, "Without doctors and nurses, hospitals simply shut down, only 45 percent of health facilities are fully functioning. Some 15 million people lack adequate access to clean water, sanitation and hygiene, or health services." Currently, approximately 17 million people are food insecure, according to data by the United Nations for the Coordination of Humanitarian Affairs (OCHA). The risk of famine still exists for nearly eight million people and suspected cholera cases also reached almost one million, according Lowcock’s briefing on December 2. 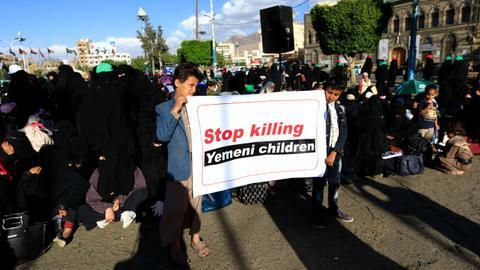 UN officials have urgently demanded that Saudi Arabia re-open air and sea ports to deliver food, medicine and gas aid. The Saudi-led coalition has partly lifted a blockade on Yemeni ports, for the first time in more than two weeks. They allowed the first UN aid ship carrying 5,500 tonnes of flour to dock in Hodeidah port, which is controlled by the Houtis, on November 26. 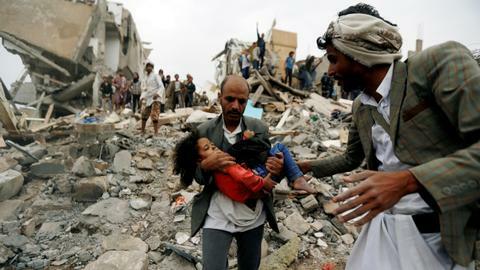 A day later, the coalition allowed a flight carrying aid workers to rebel-controlled Sanaa.